In this activity, children sort a list of preselected words into categories. Helping children find spelling patterns improves their spelling. The picture above shows a long a sort. Long a can be spelled with an ai,ay, or a_e. Yes, there are other ways that long a can be spelled. You can use those for another sort. For more information on word sorts see Words Their Way. It is a great resource book that I used numerous times in the classroom. 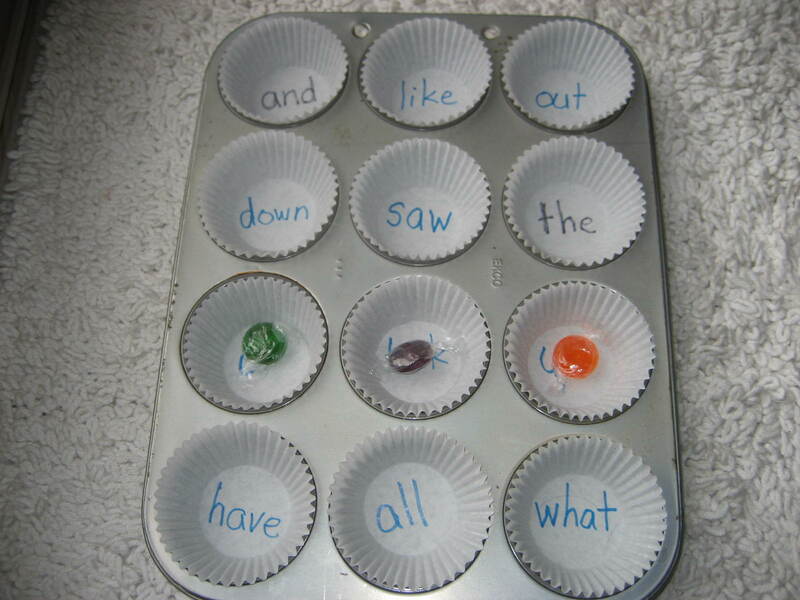 On the bottom of each cupcake liner write a sight word. Place each liner in a muffin tin cup. You are ready to play! One person calls out a word. The other person takes a place marker and puts it in the correct cup. When three in a row is achieved, you have a winner. This activity allows a little gross motor excercise while practicing some vocabulary words. Developing a child’s vocabulary increases their reading and writing ability. I’m a big fan of Isabel Beck’s work with vocabulary. She talks about three tiers of words. Tier 1 words are those concrete words we pick up pretty naturally such as table, chair, and dog. Tier 3 words are specific to a subject area such as polygon and photosynthesis. Tier 2 words are words that we see across multiple contexts and need to be specifically taught to children. See the 12 examples above in the picture. Select 12 vocabulary words (words should have already been introduced to the child) and write each on a post-it or small paper slip. 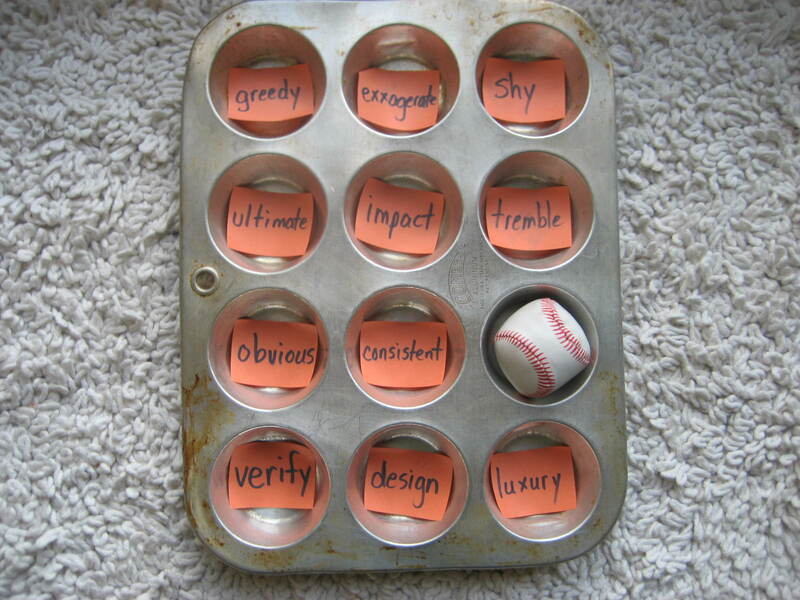 Place one word in each tin. The child takes the soft ball and tosses it into the tin. Whatever word it lands on is the word to utilize for that turn. For round one have the child define the word in their kid language. Memorizing dictionary definitions is useless. In round two, the child can use the word in a creative sentence. For round three, have the child name something that does not fit with the word. For example, if the word was shy, the child could say a politician who walks up to strangers and talks to them is not shy. It’s important for children to manipulate the word in many different formats so that the vocabulary word becomes more natural for them. 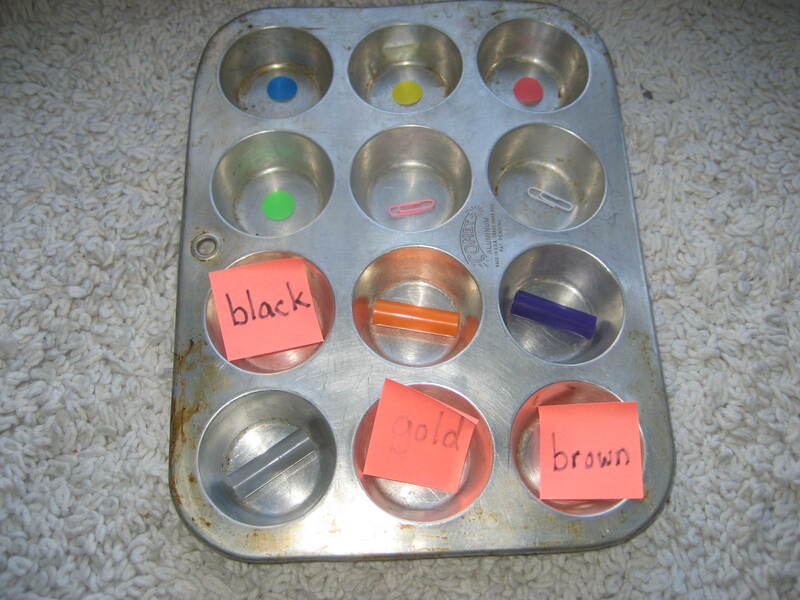 So, one muffin tin can provide numerous learning opportunities for your child. 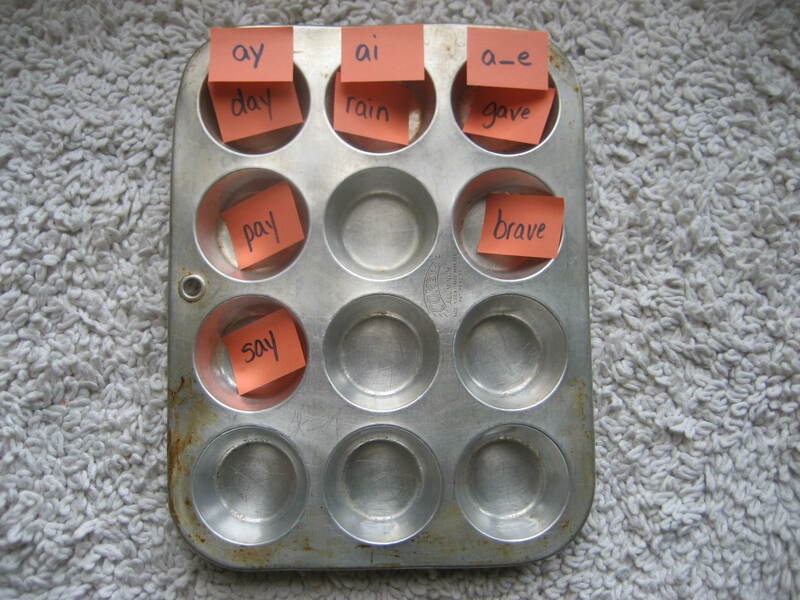 Can you think of literacy uses for muffin tins? I’d love for you to share your ideas. I’ve also linked up to Thrifty Thursday Linky Party and The Mommies May Me Do It. Pingback: Show-and-Share Saturday Link Up!